Hello, hello! Birgit here with you today. 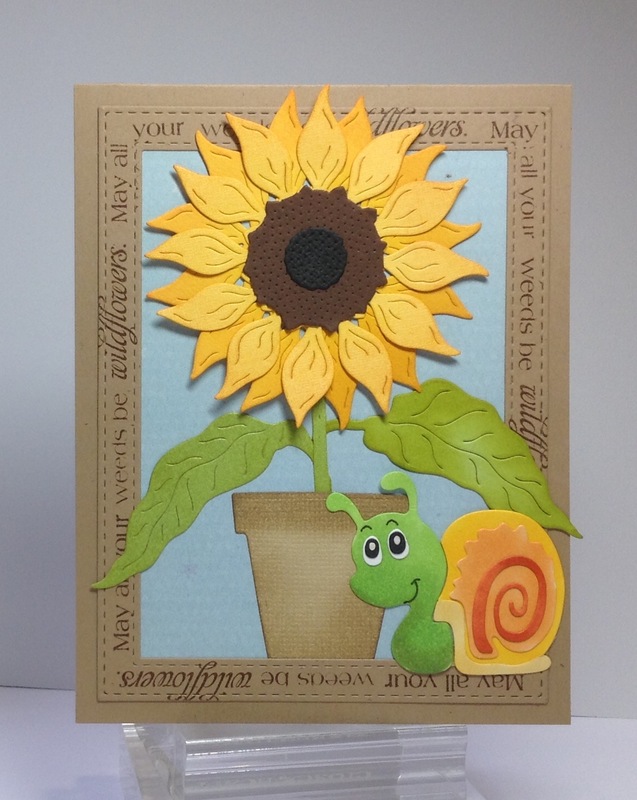 I have a couple of whimsical cards for you using Cheery Lynn Designs - Sunflower Set. Let's get started! For my first card I cut a frame using Impression Obsession All In One Rectangle Frame. I really love this die because it cuts multiple frames in graduating shapes and sizes in one pass. I used the outermost frame on this card and stamped the sentiment around the frame. 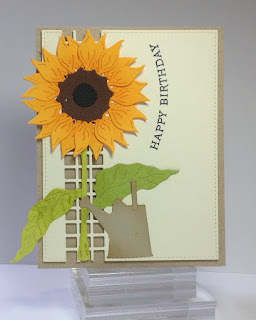 I cut the sunflower out of colored card stock and added some distress inks to the edges to add some depth and interest. The plant pot is cut using Cheery Lynn's Nested Flower Pots, again adding some distress ink to the edges. 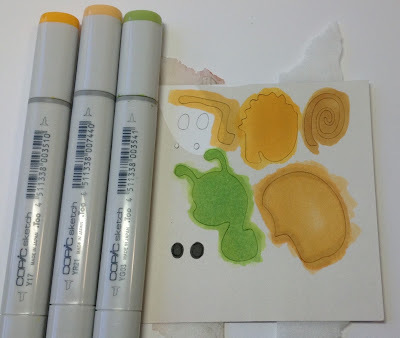 Moving on to this cute little Die-Namites Snail. He's currently on closeout so you might want to grab him while you still can! 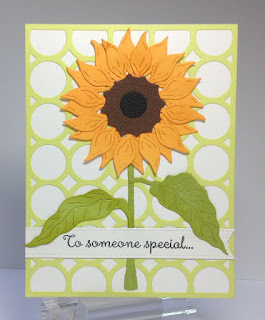 I have a couple of bonus cards for you because I just couldn't stop playing with the sunflower dies! For this card, I cut the Impression Obsession Square Border Die out of the left side of the front card panel. I added the sunflower and a Memory Box Wonderful Watering Can. I gently curved the sentiment to wrap around the sunflower. 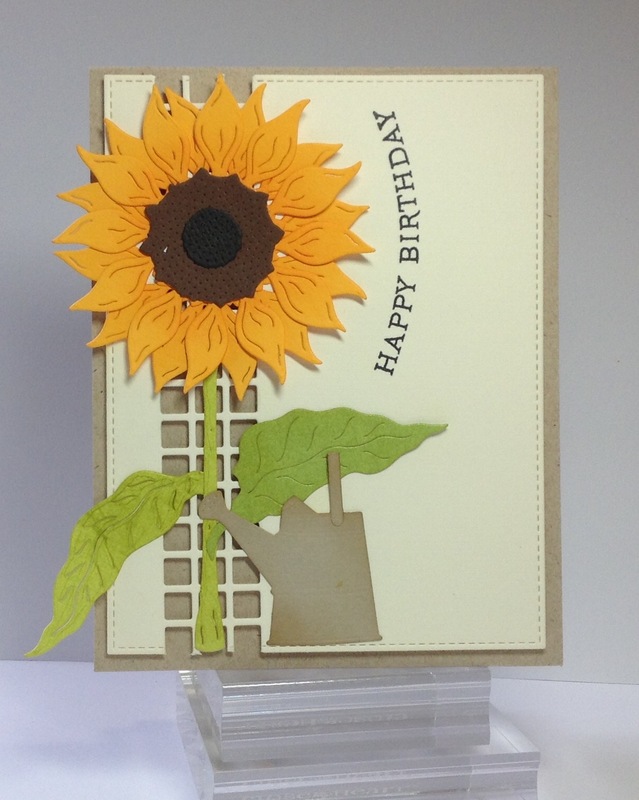 And on this card I used a circle cover plate and added the sunflower and a sentiment banner for a quick and easy card. Such happy sunshiny cards, Birgit! Love them all and that sweet little snail die, he's super cute! I think my favorite is your last one. May have to get that sunflower die, it is spectacular! Oh Birgit these are all just lovely, that snail on the first is just the cutest, great job you did with him and I am now thinking I need that border die on my wish list, like how you curved the sentiment too. Pretty background for your flower in the last card!! Birgit, your cards are all wonderful. Love your sunflower and adorable snail. Brigit, your card is adorable. So bright and sunny!! !